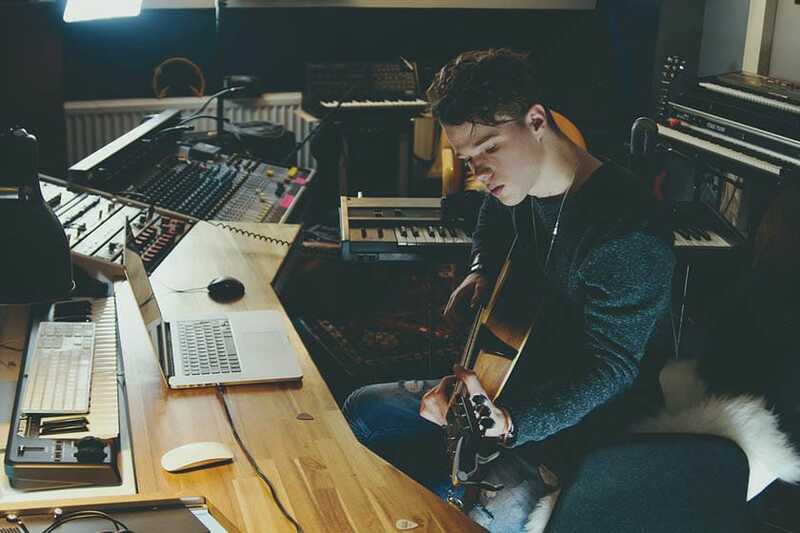 Here at Open Mic UK, we believe song writing holds the key to success in the music industry. Having discovered hundreds of hugely successful artists, such as Birdie and Lucy Spraggan, we know what it takes to succeed. A song chorus is often regarded as the most vital part of the song and the part of the song that if done correctly sticks in your head for hours, even days after you’ve heard it. Writing a song chorus is an art in itself but nail it and you can reap the rewards for a very long time. Read on for some helpful tips in trying to write a killer song chorus. Warning! Be aware there are no guarantees and it can sometimes take people hundreds of songs before getting that one song with a killer song chorus! Firstly consider this, most hit songs will have repetition of the vocal hook line, but have it too much and it will become an irritation. Having the vocal hook and message must generally be clear. Repeating the vocal hook line is a good idea and consistent in a lot of hit songs but changing the delivery and phrasing is key, it must flow and be catchy to be a killer hook. If you play a song the whole way through with exactly the same dynamics, your audience will tune out without realising it so make sure to keep it varied. Most modern pop songs feature a song chorus that is louder or projected with more urgency than the rest of the song. However try experimenting with different dynamics. HOT TIP! Listen to the greats: Look to select out your favourite hit songs and really listen to them; listen to how they build the bridge to the song chorus and how they deliver the song chorus in particular. It’s not just the lyrics in a song chorus that make it what it is but also the extra hooks. Think of Beyoncé’s ‘Crazy in Love’ and notice how strong the lyrics are but how they are also backed up by a instantly recognisable brass section as a melody hook. HOT TIP! Carry a notebook or use your mobile to record: inspiration can strike at the most random of moments so be on standby with a notebook and pen or mobile phone at the ready to record or write. It’s easy when writing a song chorus to keep the same instruments you’ve been using for the verse and bridge but why not try layering up some extra parts to create depth and interest or the opposite and strip it back. HOT TIP! Co-write: you’d be surprised by how many co-writers it takes to write a hit song with a killer song chorus in the industry. Although one artist sings it live, there’s a team of people working to help write it. Don’t be scared to ask for help and advice, fresh ears can often give vital ingredients to suddenly take an ordinary song into a hit for example David Bowie needed that final piece to suddenly get his first hit and break and now he is a music icon. Those who enter our competition are in with a chance to be put forward to our song writing and studio programme. This gives you the opportunity to work with some of the best songwriters and producers around!